On Monday, Mark Whelan woke to a lovely message on Facebook. "It was the most intimate experience I think I've ever had listening to an album - it truly blew me away." The note was sent from someone who had been at a vinyl-listening party organised by Whelan and held in Dublin's Liquor Rooms the night before. The album in question was Pink Floyd's 1973 classic, The Dark Side of the Moon, and Whelan says a number of people there - the vast majority of them Floyd obsessives - told him afterwards they had heard sonic detail on the album that they hadn't encountered before. Whelan, who works in marketing for a tech company, founded Vinyl & Wine in 2014 and has held classic album-listening parties every month since then. It's an antidote to streaming culture, he says, and one which favours immersive, attentive listening rather than the casual shuffled soundtrack that's common to so many us. "I'm a Spotify Premium customer and I see a lot of value in streaming, especially the huge choice, but too often music has just become something to put on in the background to fill the silence. People used to pay careful attention to albums from start to finish - and some still do - but many don't experience music the way the artist intended them to." To that end, the Vinyl & Wine listening parties use an exceptional sound system - loaned by high-end hi-fi specialists Cloney Audio - and using the best quality vinyl. "There are a few house rules," Whelan adds. "We ask that people make sure phones are switched off and that there's no singing along. But people sort of know what it's about. They want to sit back and really listen attentively. And they're getting to do it alongside lots of other people who also feel a strong connection with the album in question." And it's not just listening to a beloved piece of music in the company of like-minded others that makes the Vinyl & Wine events so popular - many of them sell out days in advance - it's also the fact that a panel of experts are assembled to talk about the album. "We usually have three or four people - journalists, musicians, record company executives - and they talk about their own feelings for the album as well as going into the sort of detail that the audience love. And we have this panel discussion before we play the album as it builds anticipation and adds to the whole experience." Whelan is already planning next month's listening party and he reckons it will be an especially popular one. "We'll be playing Revolver by The Beatles and it's an album that's been suggested many times to us on Facebook." For the most part, it's classic albums from the 1960s and 1970s that play on the expensive turntable and super-pricey speakers, but more recent offerings, including the late Amy Winehouse's final album, Back to Black, from 2006. The idea of listening to albums from start to finish in such a fashion seems gloriously quaint in this age of unlimited choice and short attention spans, but it's a conceit that's been popularised around the globe. Whelan got the idea when his American wife Kaitlin talked about similar events that had taken off in the States. And, next week, the idea of listening to recorded music in a room kitted out with an exceptional sound system will come to fruition with the inaugural Hennessy Sound Lounge series of events at the Hen's Teeth store and venue in Dublin's Fade Street. 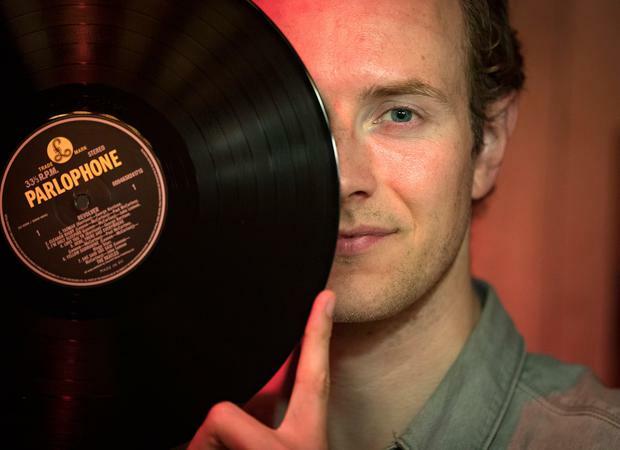 Over the course of 10 days, a range of Irish and international musicians and DJs will play their favourite records in a space that the organisers hope will mimic "Japanese listening lounges from the 1970s" and attendees will get to hear the music through speakers specially designed by the boatbuilder-turned-audiophile hardware maker, Toby Hatchett. Some of his creations have adorned stages at both Electric Picnic and Body & Soul. The line-up is an intriguing one, boasting the veteran Irish DJ and veritable renaissance man, BP Fallon, as well as Choice Music Prize winners Ships and David Kitt. Cork-based DJ John Byrne will also be manning the decks at Hen's Teeth and he says it is a pleasure to be able to play music where such care has been taken to insure the audio is as good as possible. "People don't care about the quality of the sound of the music they're listening to any more," he laments. "They're happy to listen to compressed files through crappy headphones. They are missing out on so much, but it seems as though music just isn't as important to a lot of people as it once was. And the quality of music itself is not what it once was, so maybe it's hard to blame them for not caring so much." Byrne has collected vinyl all his life and it is the only format that gives him pleasure. "We were all sold a lie when we were told that the CD had better sound than vinyl. It doesn't, and anyone that has listened carefully to both will tell you that." Paul Diddy is also part of the Hennessy Sound Lounge. The Berlin-based album sleeve designer says he is dismayed by the number of friends who have abandoned their physical collections and now rely on streaming and "the cloud". While he believes that it is possible to listen to excellent quality sound via hi-res audio offered by some streaming giants, the computerised, automated perfection of the delivery of the music takes away the romance. "You miss out on that physical connection with the music, the fun of holding something in your hand, looking at the artwork and studying the album notes. And there's an imperfection to physical formats that make them charming too, how vinyl, for instance, deteriorates in sound quality the closer the needle gets to the centre. And, today, through streaming you can pick and choose so easily you may deprive yourself of the opportunity to listen to music that you might end up loving had you first heard it on a different format and allowed it to play out." It's an idea echoed by Mark Whelan, who believes that albums like The Dark Side of the Moon and Revolver are adored from beginning to end because those listeners who first heard them played them over and over again and allowed slower, less commercially appealing tracks to wash over them. It's a way of listening to music that was once so commonplace but has now almost been rendered obsolete. "Despite all the changes in the industry, the album is the format that artists continue to release and when it comes to the really great ones, it's a format that truly is an outstanding work of art. Listening to them in the company of others is the same as the experience of going to the cinema to see a great film. They're words to celebrate."